Come and experience the wonder of diving a piece of history when you explore a shipwreck with Air Down There Scuba! Pre-requisite: PADI Adventures in Diving (Advanced Open Water) certification or equivalent. If the wreck lies below 60 feet, the PADI Deep Diver Specialty is highly recommended. Scuba Equipment is NOT included, but may be rented at HALF PRICE. NOTE: This course has specific equipment requirements. Please check with us to obtain the gear configuration list. 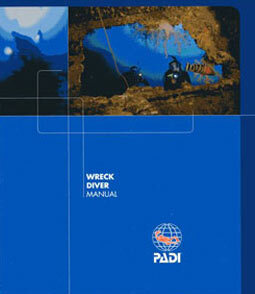 Upon completion you will earn the PADI Wreck Diver certification. This course counts toward the Master Scuba Diver rating. Master Scuba Diver is the highest non-instructional classification in the PADI system of diver education. For this level of achievement you must have 50 logged dives and hold PADI Rescue Diver along with five PADI Specialties.